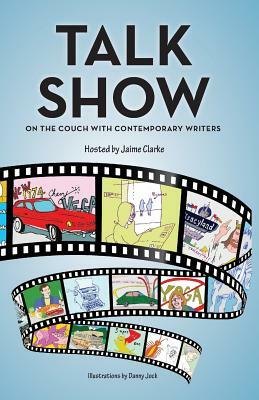 In direct contrast to the venerable Paris Review interviews, Talk Show puts contemporary writers on the late night couch and poses questions about everything except writing. Tune in for questions and answers about first concerts, movie remakes, childhood heroes, family myths, worst jobs, first cars, road trips, generational traumas, life-changing technologies, first dates, embarrassing moments, preferred Saturday morning cartoons, irrational fears, favorite first albums and much more. Though oftentimes irreverent and humorous, these interviews offer remarkable insight into the authors' perspectives as well as our time. A published author and an owner of a successful bookstore located just outside Boston, Jaime Clarke was able to earn of the trust of these artists and thus elicit several interesting and frank revelations. Contributing Authors include: Elisa Albert, Mike Albo, Will Allison, Steve Almond, Allison Amend, Jami Attenberg, Julianna Baggott, Daphne Beal, Thomas Beller, Aimee Bender, Sven Birkerts, Jenna Blum, Charles Bock, Chris Bohjalian, Lisa Borders, Christopher Boucher, Ryan Boudinot, Sarah Braunstein, Adam Braver, Kevin Brockmeier, Kiara Brinkman, Blake Butler, Maud Casey, Susan Cheever, Emily Chenoweth, Brock Clarke, Jon Clinch, Leah Hager Cohen, T Cooper, Elizabeth Crane, Sloane Crosley, Michael Dahlie, Quinn Dalton, Lisa Selin Davis, Nina de Gramont, Anita Diamant, Rebecca Donner, Tony D' Souza, David Ebershoff, Brian Evenson, Joshua Ferris, Maria Flook, Emily Franklin, Joshua Furst, Lisa Gabriele, Elizabeth Gaffney, Sophie Gee, Julia Glass, Myla Goldberg, Tod Goldberg, Elizabeth Graver, Ben Greenman, Lev Grossman, Jennifer Haigh, Paul Harding, Sheridan Hay, Joshua Henkin, Nellie Hermann, David Hollander, Ann Hood, Samantha Hunt, Karl Iagnemma, Perrin Ireland, Bret Anthony Johnston, Molly Jong-Fast, Rachel Kadish, Daphne Kalotay, Pagan Kennedy, Dave King, Owen King, Binnie Kirshenbaum, Aryn Kyle, Adam Langer, David Leavitt, Don Lee, Dennis Lehane, J. Robert Lennon, Francie Lin, Sam Lipsyte, Ellen Litman, Margot Livesey, Yael Goldstein Love, Michael Lowenthal, Allison Lynn, Fiona Maazel, Amy MacKinnon, Alice Mattison, Elizabeth McCracken, Ron McLarty, Kelly McMasters, John McNally, Mameve Medwed, Askold Melnyczuk, Dinaw Mengestu, Kirsten Menger-Anderson, Adrienne Miller, Lydia Millet, Rick Moody, Antonya Nelson, Joshua Neuman, Thisbe Nissen, Alix Ohlin, Ann Packer, Ed Park, Matthew Pearl, Heidi Pitlor, Hannah Pittard, Neal Pollack, Dan Pope, Mark Jude Poirier, Melissa Pritchard, Margo Rabb, Nelly Reifler, Irina Reyn, Nathaniel Rich, Stacey Richter, Lewis Robinson, Roxana Robinson, Peter Rock, Elissa Schappell, Ben Schrank, Salvatore Scibona, Elizabeth Searle, Jim Shepard, Karen Shepard, Rachel Sherman, Gary Shteyngart, Robert Anthony Siegel, Christopher Sorrentino, Dana Spiotta, Wesley Stace, Alix Strauss, Darin Strauss, Felicia Sullivan, Hannah Tinti, Peter Trachtenberg, Jen Trynin, A.J. Verdelle, Vendela Vida, Daniel Wallace, Amanda Eyre Ward, Sean Wilsey, and Moon Unit Zappa.